Leta was born in 1997 in Indianapolis, Indiana Although she remained in the PICU for 2 weeks afterwards, we had no concerns when she first came home. She was my beautiful baby girl, but over the next few months, our reality changed dramatically. We had to rush Leta to Riley Hospital for heart surgery at 3 months old, then she began developing chronic pneumonias, and by nine months it became apparent that she was not hitting any of her developmental milestones. Despite all these setbacks, no doctor could tell us what, if anything, was wrong with our child. It is hard to believe but Leta is now 19 years old. We spent those first 16 years of her life without any diagnosis, other than Pervasive Developmental Delay of unknown Etiology, and we traveled a medically and emotionally challenging road because, in that time we lived in the Dark Ages of genetic medicine. We did not have the benefit of DNA sequencing. Today, the medical world is dramatically different. i guess my goal in this blog is to document my emotional and medical journey these past 19 years, in hopes that it helps others in my situation better understand their own journey. We loved Leta unconditionally, but our life with her was not easy. Not only did we have no idea what the future held for her medically, we were caught off guard day to day by her constant medical setbacks. Our life from the day she was born was an on the job crash coarse into a world we were not trained for. It forced us to quickly understand that the family we were forming was going to be vastly different than others around us. But most importantly, what we didn’t understand was that we had a choice how we we were going to navigate this new path. Leta changed all of us; slowly at first, but definably as each year passed. In some respects my blog is a cautionary tale about the pitfalls of raising a special needs child but I hope that despite the crazy and messy moments, it also highlights the pure moments of joy and happiness that Leta has brought me. In 2012, Children’s Hospital of Philadelphia’s Genetics Department, under Dr. Ian Krantz. made a miraculous breakthrough in the sequencing of Leta’s DNA. CHOP unraveled her genes and uncovered a rare syndrome that at the time only 2 other children in the world shared with her. There are now 8 kids with CHOPS Syndrome. The CHOPS gene mutation is on the Aff4 gene and is believed to play a major role in the world of gene sequencing. This gene is considered to be a “master switch” gene. Like a coxswain in a crewboat, It tells the other genes what to do to navigate properly. Somehow, Leta’s master switch gene got off course. (C) cognitive,(H)heart defects,(O) obesity, (P)pulmonary, and (S) short stature. Dr. Ian Krantz and his team at The Childrens Hospital of Philadelphia believe that this discovery has huge implications for genetic research, cancer research and beyond. If you are reading this blog, I hope you will join us in our journey of discovery for Leta and for all future children diagnosed with CHOPS Syndrome that will be born tomorrow. Lainey, I am touched so powerfully by these messages and by all things- courage, love, hope and faith, for and from you and your family. Thank you so so much for sharing this. Of course, I wish for you all the best as you continue on this journey. Wow. Wow. 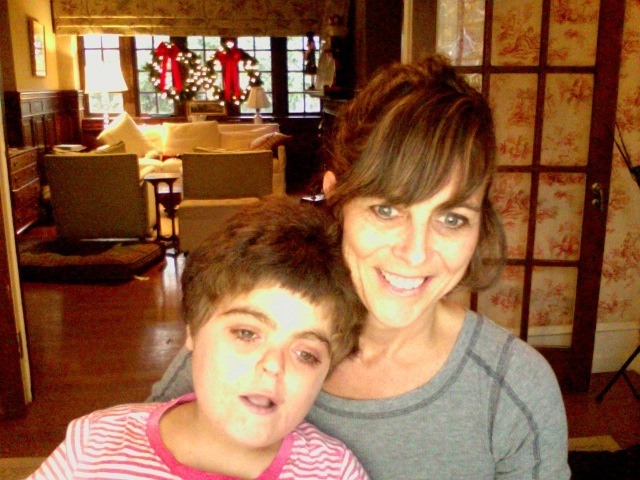 What a lucky girl Leta is to have the ultimate advocate…her strong momma! Thank you for sharing her story. Your prose is beautiful and, most importantly, it realistically presents your courage and honesty. Nobody wants to be in this club and you know that I speak from experience. You are leading from the front! You go!! Rahel posted a link on Facebook. I’m Holton ’80. I remember you from many moons ago….! (As this is a public webpage, feel free to drop me an email to figure out which Susan of many this is, and catch up. )Thank you for going through the painful process of writing about a difficult journey. I have several friends whose children’s challenges have defied diagnosis and will be sharing your blog with them. Blessings to you and Leta. I am also Holton class of ’80 and remember you from our youth. This is a lovely blog and I admire you and your family for all you have done and are doing. You are an inspiration! Our hearts are cheering for you all! Lainey, Your Leta will be the Henrietta Lacks for her disorder. I’m glad you can find joy in your struggles and know all your work with Leta will make life better for other Letas in the future. Lainey- I enjoyed catching up on Leta. Your words capture so many of my emotions and experiences of life with Cary. I cannot believe Cary and Leta are now 16. I’d like to catch up with you sometime over a coffee. Btw, Emma is a first year wahoo – loving life on the grounds and playing club lax. You are so fortunate to have gotten a diagnosis. I often say, a diagnosis changes nothing but it sure would be nice to know where the genes went wrong for my daughter. Your challenge in life is being rewarded with the joy you have daily with Leta. I wish you all the best. I was a “nanny/sitter” for a Charles, Livingston and Lainey Webb in their young years while they were spending time with their parents during the summer(s) in Hot Springs, Va. (near The Homestead ). I do not know if you are the same “Lainey Webb” from Wash. D.C. but if so, I know why you are driven to be such a wonderful, caring mother. You were full of energy, love and hugs as a child. Leta has definately touched my life and I’m glad to have known her and you, Lainey. My support is with you and your amazing family. I am utterly fascinated by Leta’s story that I have just learned about on people.com. Your family is awe inspiring and so full of love. I wish you and your beautiful family all the best. You are an inspiration. I, too, have a daughter with a complicated chronic condition, type 1 diabetes. So happy to read your blog and catch up with your busy life! I live now in Portland, Oregon. And I just got a yellow lab to keep me on the up and up. Lainey – Would you/Leta be interested in participating in the TOUCH OF TENNIS Program for special needs athletes held at Gwynedd Mercy University (GMU) on Wednesday evenings this summer. It is a nationally acclaimed Program in its 19 th year directed by my son: Jim Holt, Jr., Head Women’s team tennis coach at GMU. My Best Wishes and prayers to Leta and you.